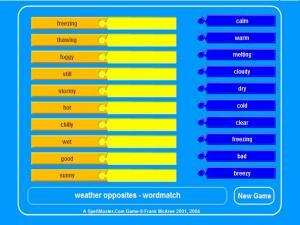 Offers match up game for weather vocabulary. What's the weather? Go through the picture cards and listen to the correct words. You will be asked questions later to check your new knowledge! 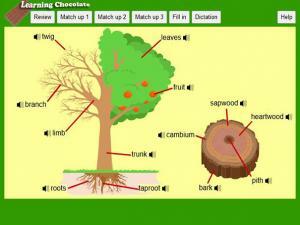 A selection of fun Vocabulary games, including matching pairs, hangman and a word search to help students learn words connected to Nature. 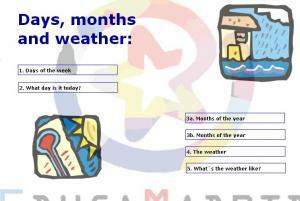 Do a quick review of the main types of weather and then play the two games to practice your vocabulary. 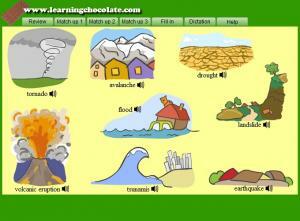 Practice vocabulary related to weather. Place your cursor over an image to hear it pronounced aloud, then quiz yourself by activating 'quiz mode'. Requires Quicktime. 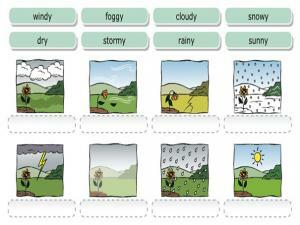 In this English lesson you'll learn the vocabulary related to weather in English: sun, wind, rain, snow, hail, ice, thunderstorm, fog, cloud, and sky. 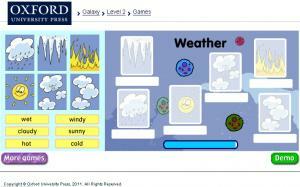 Want to learn more about the weather of England? Ask a native using your new vocabulary! 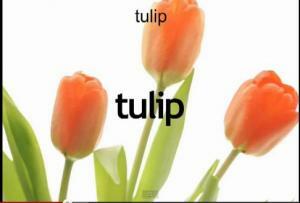 In this learn with pictures lesson, we will teach you how to talk about flowers in English. If your favorite flowers are roses, orchids, daisies, sunflowers, tulips, dandelions, lilies, chrysanthemums, baby's breath, or daffodils, after this lesson you can say so in English! Do you have a garden? 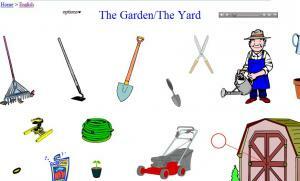 Learn and practice English vocabulary about the useful tools you need to maintain a flower garden. Place your cursor over an image to hear the word pronounced aloud. "Audio Quiz Mode" is a great way to practice your mastery of this vocabulary. To activate this mode, click on "options" and then "Audio Quiz Mode." When you hear a word, click on its picture. If you guess all of them correctly you win! 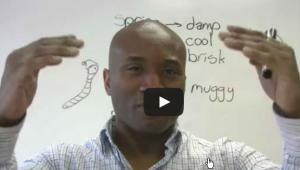 Learn how to describe the weather in this video lesson. Expand your vocabulary beyond "hot" and "cold"! 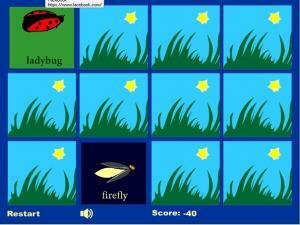 Do you know the names of insects you can find in a garden? Click on the cards and match up the pairs. 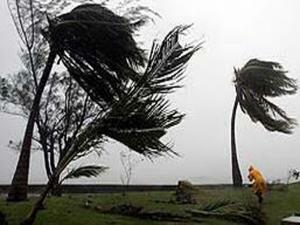 Learn some words to describe the weather. 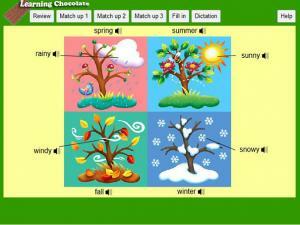 Play the matching games to enhance your memory of new vocabulary words. Do you have a favorite time of year? 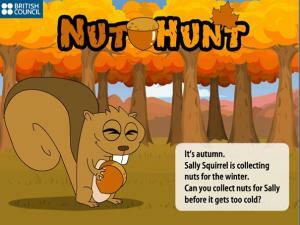 This game teaches you the names of the seasons and the main type of weather for each one. 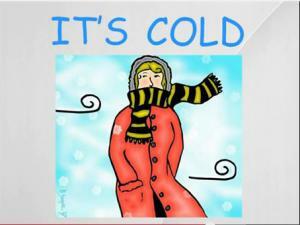 Learn the difference between hot, warm, cool, cold and freezing. 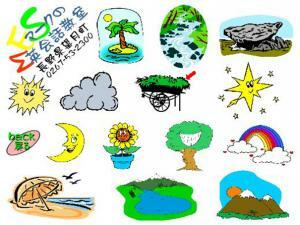 Do you know what temperature would be associated with each of these? 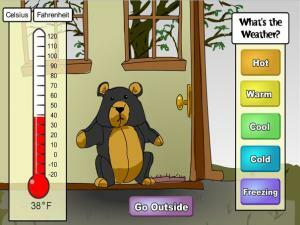 Read the thermometer and help dress the bear with the right clothes! 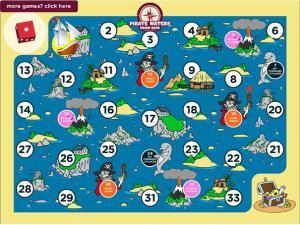 Practice your weather vocabulary by playing this Pirate Waters board game. Answer questions to move your ship forward. There are images and audio questions, so you can practice both your vocabulary and listening skills! There are four seasons in a year. 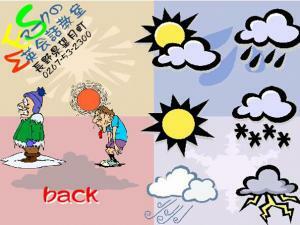 WINTER, SPRING, SUMMER and AUTUMN. Listen to the audio and learn about each season and the different weather and activities normally associated with each one. There are 4 lessons to take as well to check your understanding. 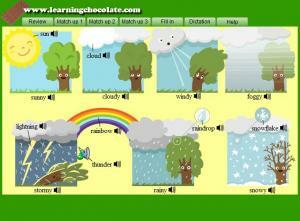 Match the words to the pictures and practice weather vocabulary. Learn the words so you can describe the weather to your friends. 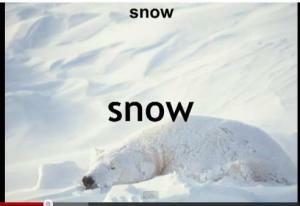 Listen to the weather and click on the correct picture that matches the word. 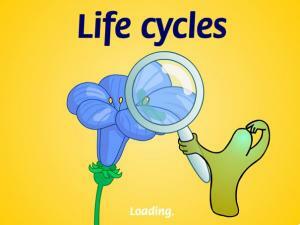 There are 5 different processes that every living thing does. Use this site to learn what they are. There is a fun game at the end to test your new understanding. 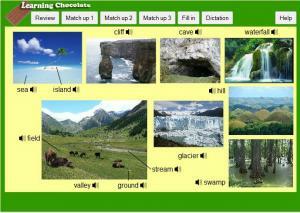 Review the 15 words associated with Nature and then play the 2 games to test your new knowledge. 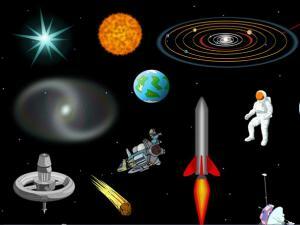 Lots of words connected with outer space and space travel. Scroll over each picture and listen to the audio and repeat the word. 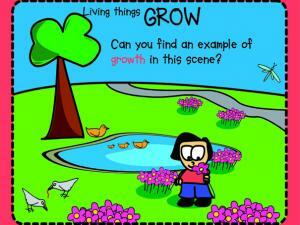 Practice vocabulary related to plants. Place your cursor over an image to hear it pronounced aloud, then quiz yourself by activating 'quiz mode'. Requires Quicktime. 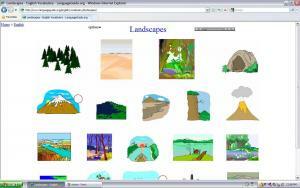 Practice vocabulary related to landscapes. 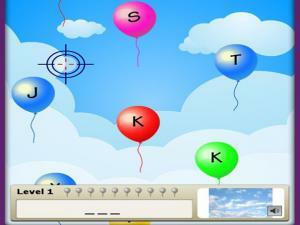 Place your cursor over an image to hear it pronounced aloud, then quiz yourself by activating 'quiz mode'. Requires Quicktime. 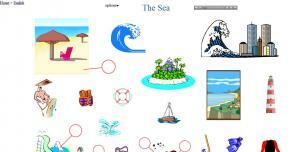 Practice vocabulary related to the sea. 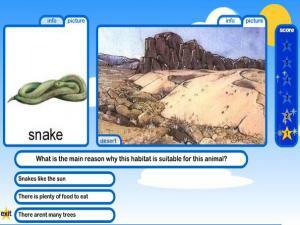 Place your cursor over an image to hear it pronounced aloud, then quiz yourself by activating 'quiz mode'. Requires Quicktime. We all know what trees look like but do you know the vocabulary to describe all the different parts of a tree, including inside? This game is a great way to learn all the different parts, how to pronounce the words and spell them! 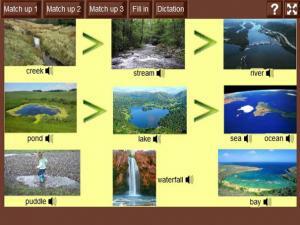 Try this vocabulary resource and test your understanding of the words for different types of Bodies of Water. 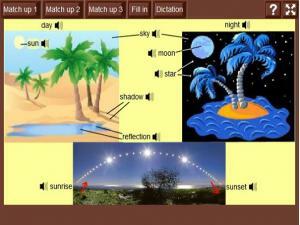 Learn how to spell each word and recognize the pronunciation by playing the different games. Trees can sometimes have very distinctive leaves. 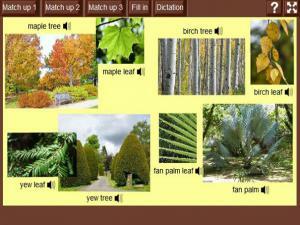 Review the vocabulary and learn to spot the difference between these leaves and trees. This is a fantastic site! 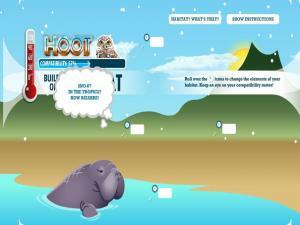 Learn about different types of vegetation, weather, climate and animals by building your own perfect habitat. See how your choices affect how well you can live in each place. 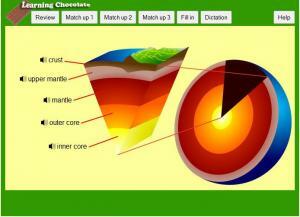 Do you know the different layers or the Earth's crust? 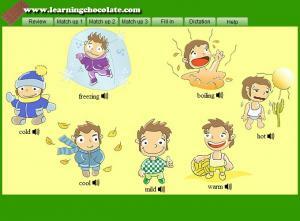 Learn the correct vocabulary and then practice your new words but playing the matching games. 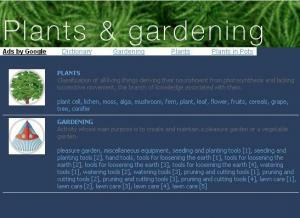 Detailed reference about plant vocabulary terms. Click the picture to see more and learn specific terminology you can't easily find anywhere else. 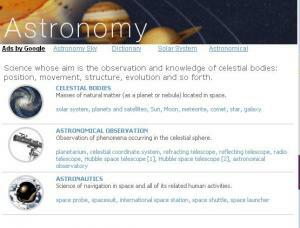 Detailed reference about astronomy-related vocabulary terms. Click the picture to see more and learn specific terminology you can't easily find anywhere else. 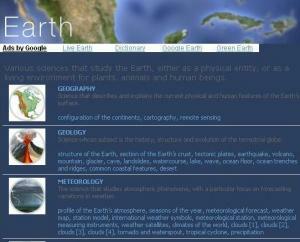 Detailed reference about earth/geology vocabulary terms. Click the picture to see more and learn specific terminology you can't easily find anywhere else. This is a BBC Schools Science resource to help you learn the correct names of all the different parts of a flower and how to identify them. Mother nature can be a bit scary at times. When she is angry she can use her amazing powers to create destruction and chaos. Take a look at the names of some of the natural disasters that we can see on the news and test your understanding with the multiple choice quizz below. This site gives you lots of information and facts about different types of cloud, as well as teaching you the correct geographical terminology. 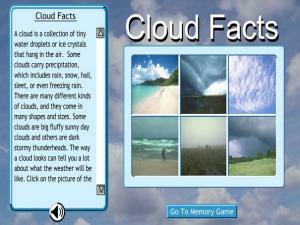 Read the information, then test yourself even more by playing the Cloud Memory Game. 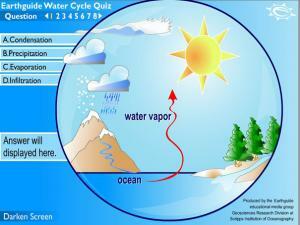 Test your knowledge of the key terms of the Water Cycle. Look at the processes shown and answer the multiple choice questions. This is for advanced science terms in English. 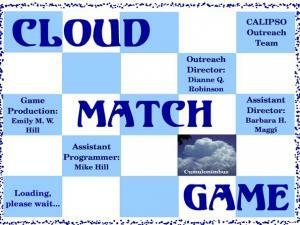 Learn the names of different clouds, what they look like and test your memory all at the same time with this Cloud Match Game! Try and take as few turns as possible and see if you can start recognizing the clouds just by their pictures. 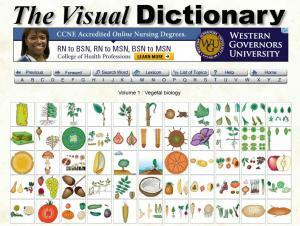 Detailed reference about plant biology vocabulary terms. Click the picture to see more and learn specific terminology you can't easily find anywhere else.